LOGO! TDE text display, 6-line, 3 background colours, 2 Ethernet ports, Installation accessories, for LOGO! The LOGO! 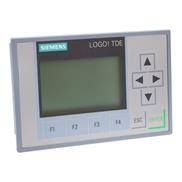 12/24 RCE - 6ED1052-1MD08-0BA0 logic module from Siemens with colour-changeable display in 3 colours has the protection rating IP20 and works with a power supply of 12/24 V DC. Up to 400 function blocks can be processed. 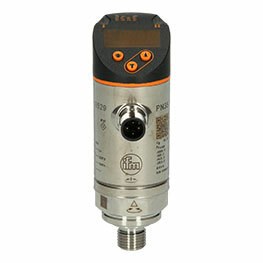 The device has 8 digital inputs, 4 of which can be used in analogue mode (0-10 V), as well as 4 digital outputs. The LOGO! 12/24 RCE - 6ED1052-1MD08-0BA0 logic module with display is programmable via Ethernet interface. 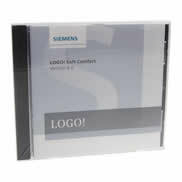 Moreover, it can communicate with other modules of the LOGO! series and SIMATIC S7 devices. The integral web server applications allow wireless monitoring and control via smartphone, tablet or PC. In addition, user-defined web pages can be stored as visualizations. The LOGO! 12/24 RCE - 6ED1052-1MD08-0BA0 logic module is used e. g. for machine controls in industrial and manufacturing processes, in building management technology, timing programs for traffic control systems as well as for use in pumps or filter systems. Special applications are also possible.